Aspire® Copy is the perfect paper for all round office use, providing you with superior quality at the right price. Now with a new, brighter white formulation. Aspire® Copy is a high white, smooth and opaque paper with performance you can count on. Australian Forestry Standard (AS 4707) certified, which is globally recognised by the PEFC, supporting sustainable forest management in Australia. Compatible with all types of office machines. 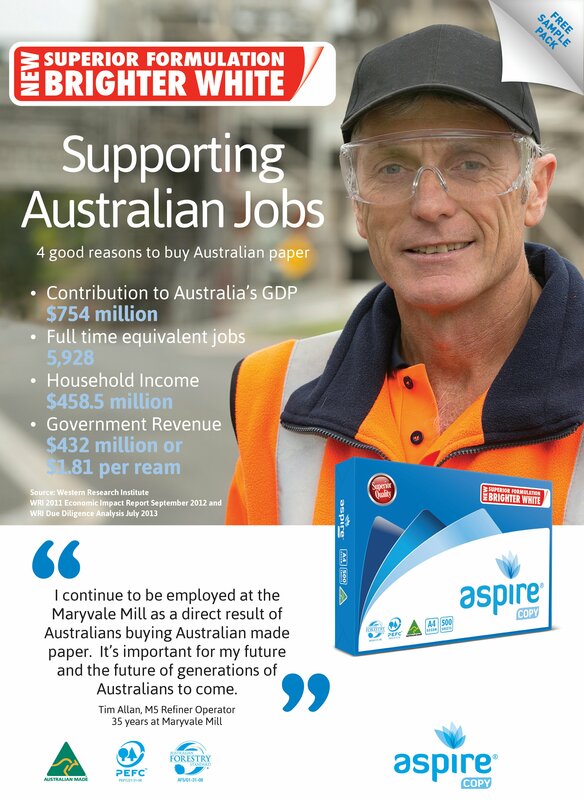 Aspire® Copy is Australian Made so your choice helps support Australian jobs and the flow-on effects those jobs provide. 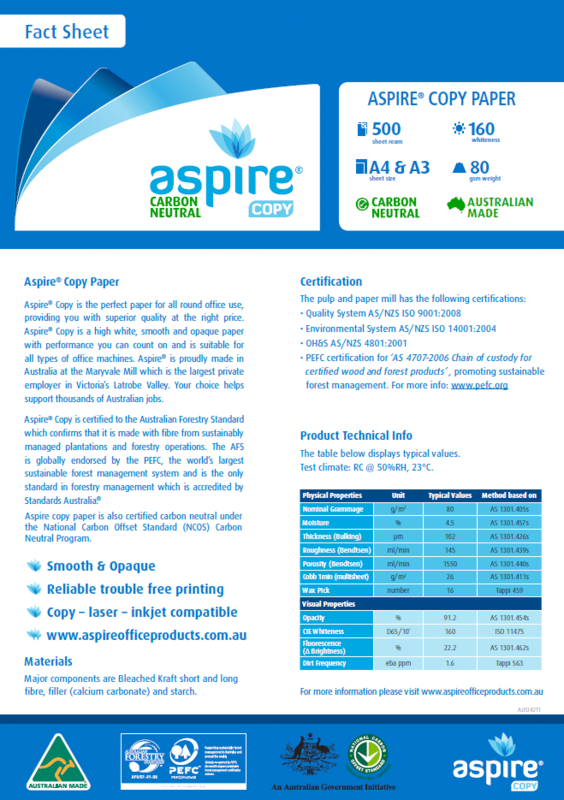 Aspire Carbon Neutral copy paper is certified carbon neutral under the National Carbon Offset Standard (NCOS) Carbon Neutral Program and is Australian Forrestry Standard (AFS) and PEFC Certified. suitable for our printer producing quality copying and no maintenance problems with our konica machine using this product.